This workshop has been identified by hundreds of professionals as life changing, essential, and exhilarating. 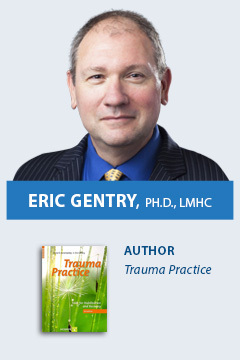 Join Dr. Eric Gentry, a recognized leader in the area of compassion fatigue, and learn evidence-based compassion, resiliency, and prevention skills drawn from the Accelerated Recovery Program for Compassion Fatigue and Burnout. Learn self-regulation-practical skills that are critical to you being maximally effective with your clients and improving treatment outcomes. For the past 30 years, research has been steadily accumulating to demonstrate that caring has its costs. We now know that working with others who suffer from mental illness, addiction, pain, abuse, social deprivation, and trauma have negative effects on the caregivers; many of which are potentially debilitating. Compassion fatigue has been identified as a cause for symptoms of depression, anxiety, chemical dependency, eating disorders, relational problems, psychological disorders, and suicide among professionals. If practitioners know how to effectively prevent and conquer stress, burnout, and compassion fatigue, they become more effective and productive. In this workshop, you will learn powerful tools (the anti-bodies) that are critical for professional resiliency and integrate them into your practice immediately. Additionally, you will leave with techniques to teach and help your clients improve their lives. This workshop integrates the latest research and practice wisdom to help you reclaim the satisfaction, hope, and inspiration of professional caregiving. This workshop meets the educational requirements when applying for the Certified Compassion Fatigue Professional (CCFP) available from the International Association of Trauma Professionals (IATP). To make a reservation, please call 1.877.769.2562 and refer to the Jack Hirose & Associates group rate. 3 Day Option: Attend Both Dr. Gentry Workshops and SAVE! To receive the early bird rate, registration and payment must be received by Monday, April 29, 2019.